One of the most scenic hill stations of Kerala, Idukki is home to thick green forests, exotic wildlife, beautiful valleys and extensive plantations. The natural beauty and tranquility of the place is truly unmatched. Idukki is popular for offering a number of adventurous activities like trekking. This is why, the hill station allures nature lovers and adventure enthusiasts from all over. For all those who are looking for a holiday set amid peace and natural beauty, Idukki is the perfect destination for them. The destination is home to a number of tourist attractions that further enhance the experience at Idukki. Set across the beautiful Kuravan and Kurathi hills, Idukki Arch Dam is the second arch dam in the world and the first one in Asia. With a height of 550 feet, Idukki Arch Dam is one of the highest dams in Asia. 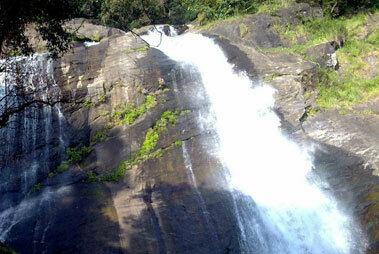 It is also one of the most popular attractions of Idukki. Idukki Wildlife Sanctuary sprawls over an area of 105 square kilometers. The sanctuary is well-known for housing an exotic variety of flora and fauna. The sanctuary is home to a number of animals like wild dog, elephant, bison, sambar deer, krait, jungle cat, tiger, wild boar, cobra, viper and many more. Idukki Wildlife Sanctuary is a paradise for bird watchers as they get to spot a number of birds like black bulbul, jungle fowl, myna, laughing thrush, peafowl, woodpecker, and kingfisher. One of the most scenic attractions of Idukki, Hill View Park is a popular viewpoint. The park offers a great view of the Idukki Dam and Cheruthoni. The park houses a number of animals such as bisons, deers and elephants. Summer season in Idukki begins in the month of April and ends in the month of June. The temperature during this time ranges between 25 to 30 degrees. The weather remains cool and pleasant during this season. Idukki receives heavy rainfall during the monsoon season. The weather remains cool and refreshing during the season which is perfect for enjoying the natural beauty of the place. Beginning in the month of October, the chilly winters of Idukki last till the month of February. The temperature during this season ranges between 10° C to 20° C. It is considered the best time to visit Idukki and indulge in different tourist activities. It is advised to carry woolen clothes when visiting Idukki in the winter season. 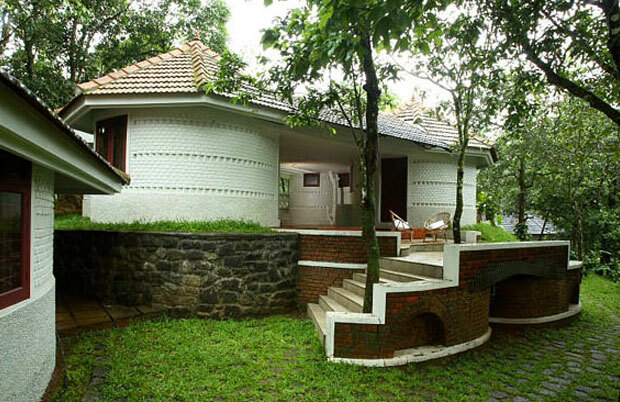 Located at a distance of 110 km from Idukki is Kochi airport which is the nearest airport to the hill station. This international airport is connected to major airports of the country and the world. This makes travelers reach easily to the hill station. On reaching the airport, tourists can take a bus or taxi to reach Idukki. Kottayam is the nearest railway station to Idukki that is located at a distance of 118 km. From Kottayam railway station, bus services are available reach Idukki. Trains from major cities halt at Kottayam. The hill station is well-connected by 6 state highways. Roads are very smooth and are connected to cities like Coimbatore (194 km), Kodaikanal (170 km), Ooty (276 km) and Munnar (64 km). KSRTC bus service operates between different parts of the state that make traveling easier. Taxis and private cab facility is also available that is convenient and provides a great traveling experience.